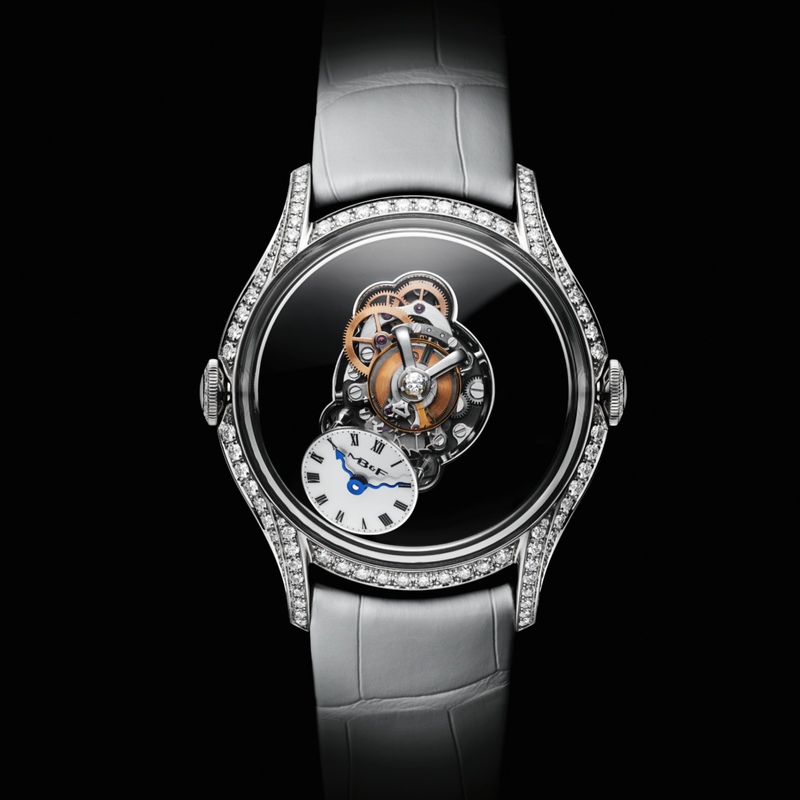 There’s much more beyond the surface of MB&F’s first watch for women. 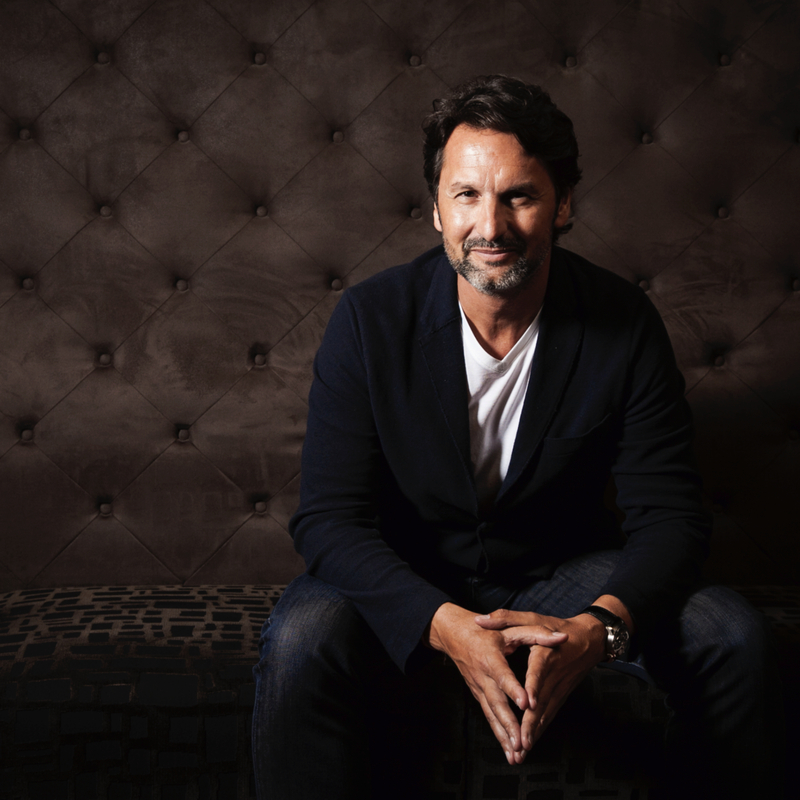 AWM explores what inspired the independent brand’s founder to create his most exciting timepiece, yet. Maximilian Büsser is reputed for creating timepieces only he needed to believe in. But after 14 years of creating fiercely unconventional timepieces, Büsser has now designed a piece for the women in his life. 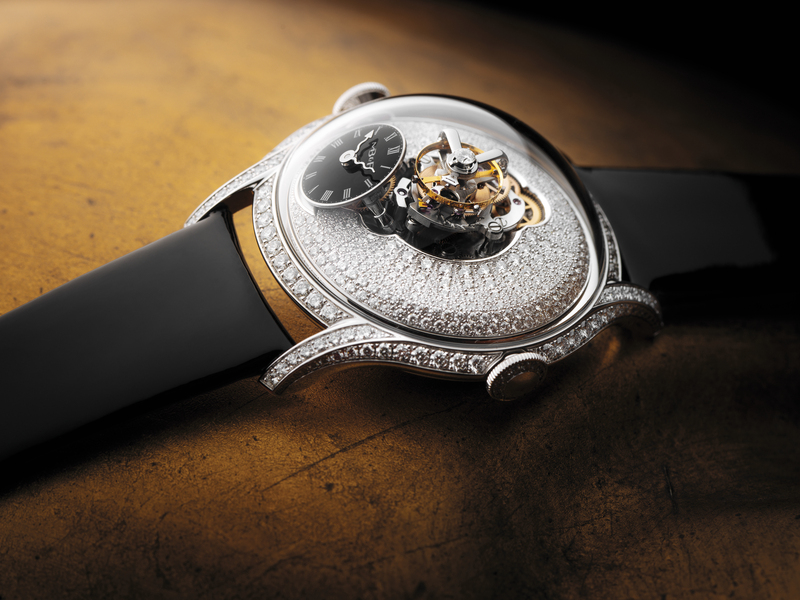 The Legacy Machine FlyingT is MB&F’s first piece dedicated to women. The creation is a fitting tribute to his family, made up exclusively of women: his mother, his wife and his two daughters. Büsser admits that he had no idea what a woman wants, and rather than try to put himself in her shoes, he honed in on what he loves in the women of his life – energy and elegance. Staying true to MB&F style, Legacy Machine FlyingT is a three-dimensional mechanical sculpture. 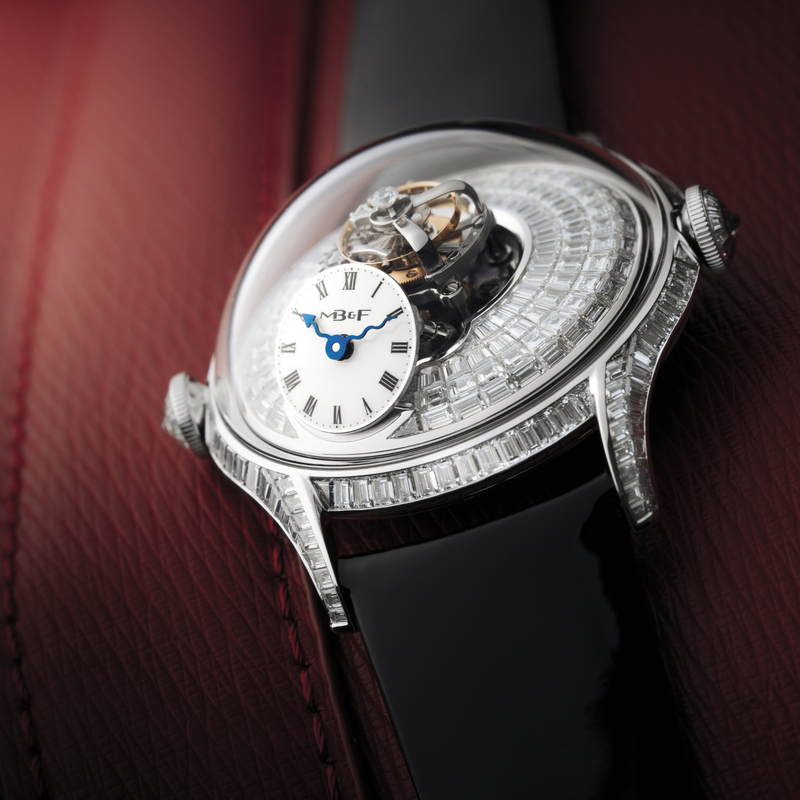 It gets its name from a 60-second flying tourbillon under a high-domed sapphire crystal and towering above a central pillar, which symbolises energy. At 7 o’clock and at 50 degrees, a delicate sub-dial with serpentine hands offers the time, but only to the wearer. The message is that whoever the owners and wearers of Legacy Machine FlyingT may be, their time belongs only to them. Underneath the slender 18K white gold case, the energy source of the 280-component automatic movement: a winding rotor in the shape of a sun, offering a generous 100 hours of power reserve. The Legacy Machine FlyingT launches in three 18K white gold versions. 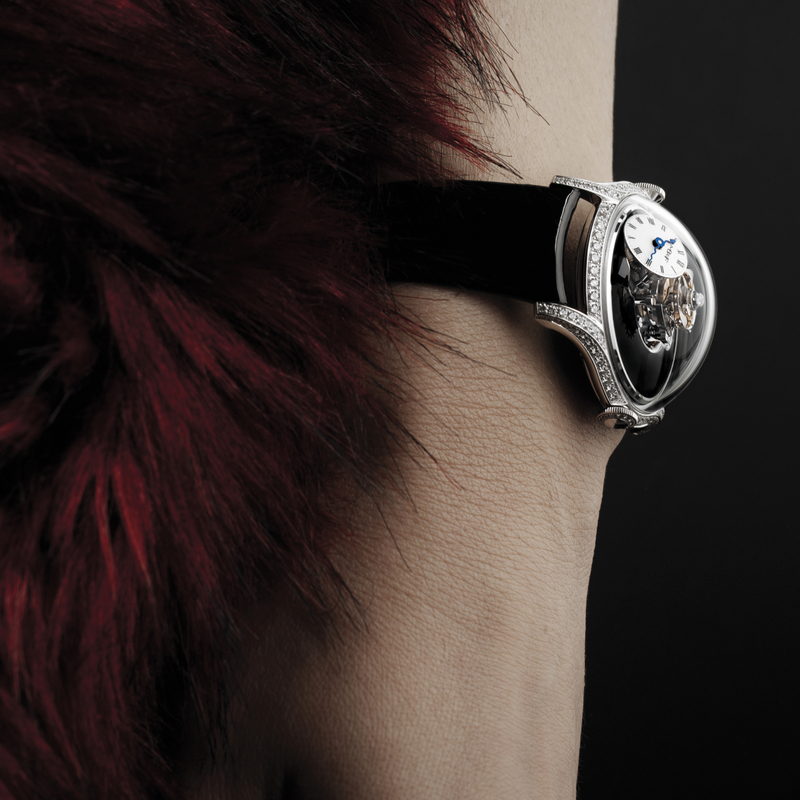 The Diamond-set case with black lacquer dial plate at EUR 100,000. 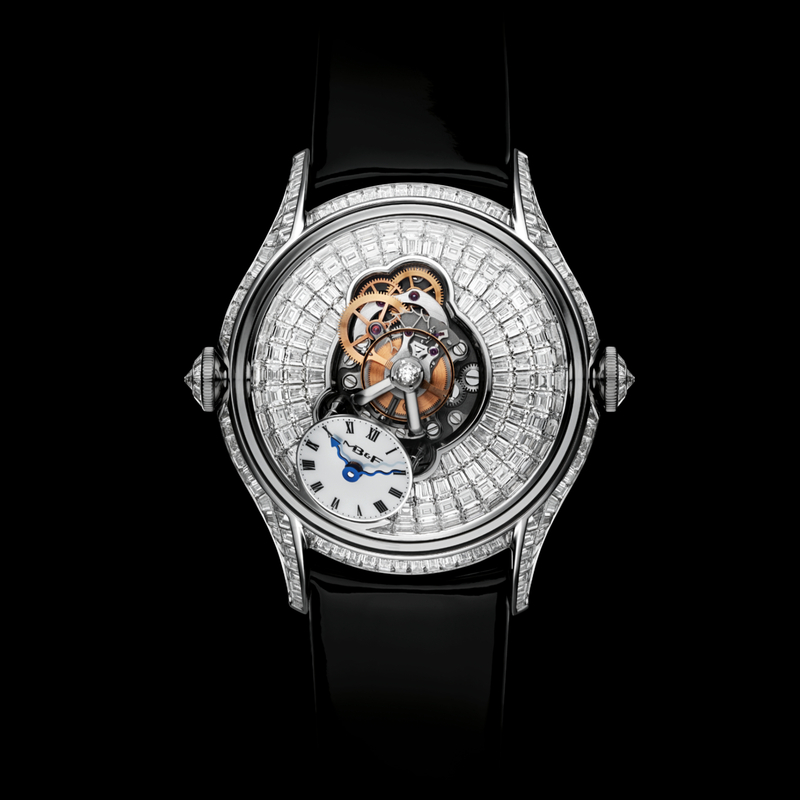 Fully diamond-set case and dial plate at EUR 125,000. 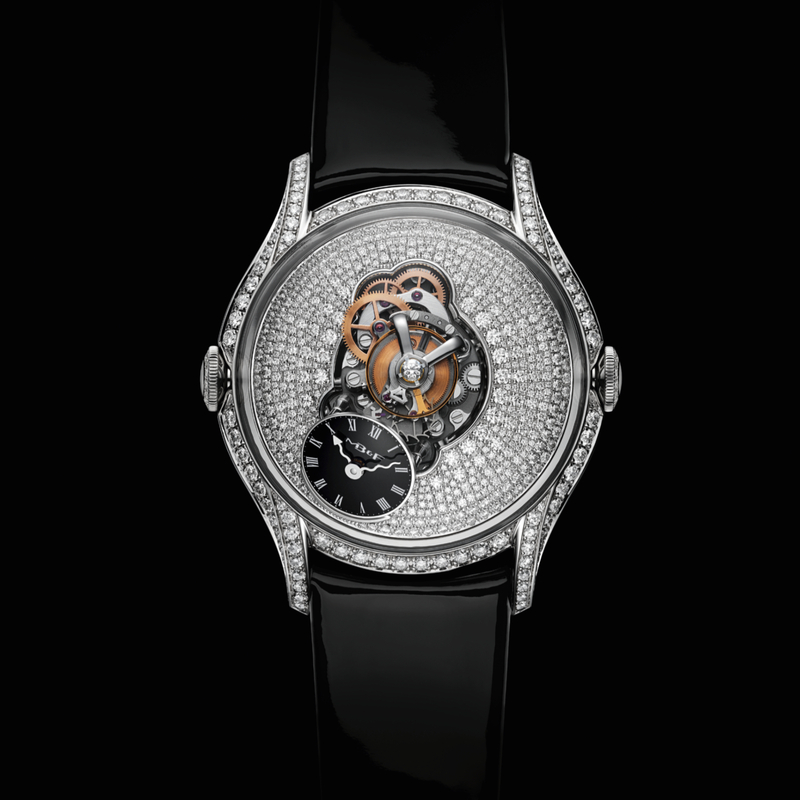 Fully baguette diamond-set case and dial plate EUR 278,000.